frugal is the new black. Find amazing deals & save money on the best fashion — frugal is the new black. We’ve all experienced shoe, handbag or dress envy. We see someone wearing a sharp shirt or a pair of trendy ankle booties, and we want the look too. Imagine that feeling of envy multiplying when you ask your friend with great taste where they got the item. Why multiplying? Because they tell you they bought their killer find for a fraction of what those of us not in-the-know would’ve paid. Fashion resale and rental sites deserve a place on every smart fashion lover’s list of places to find stylish deals. The way we see it, frugal is the new black. Just like the must-have little black dress for us ladies, everyone needs at least one favorite fashion resale website as a trusted go-to source for clothes. Tradesy — They’re one of the better known fashion resale websites with a wide range of mid-tier and designer clothing, accessories, shoes, handbags and more. The site typically offers a good selection of sizes and price points. thredUP — You’ll find mainstream and designer offerings for women on this site as well as maternity clothing, boys’ and girls’ items. Linda’s Stuff — They bill themselves as a leading luxury consignment shop, and have a varied selection of merchandise including men’s, women’s and kids’ clothing, jewelry, accessories and items for the home. Rent the Runway — You’ll see a wide range of styles, designers, sizes and prices here. Finding a knockout dress for less than a $100 rental fee isn’t hard. It’s next to impossible to buy the perfect dress for less, and who really wears those special occasion dresses more than once or twice? They also have a Wedding Shop. The Black Tux — Think of this as the men’s version of Rent the Runway; it’s a special occasion suit and tux rental service. The Ms. Collection — It’s a subscription based site offering unlimited style packages. Based on your answers to a style questionnaire, stylists select items for you. Wear them for as long as you like, package them up and send them back when done. Once received, a new package goes out to you. 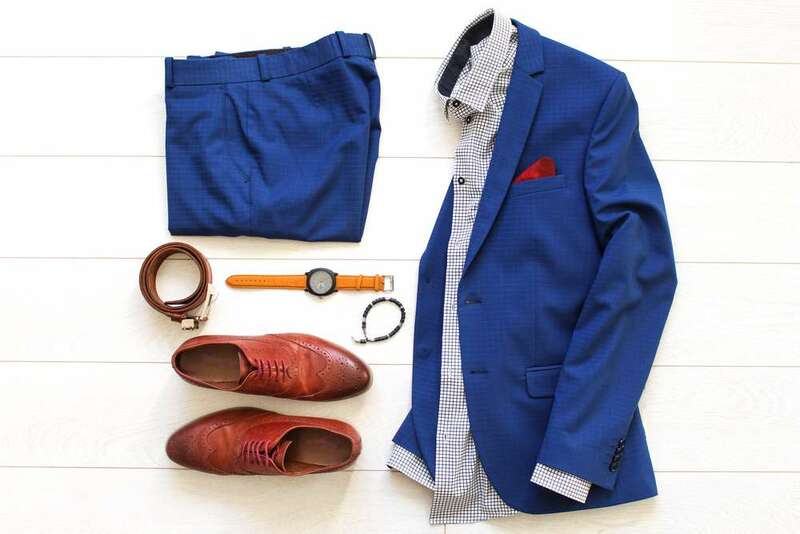 At $59/month, one of their business style packages might make sense if you need to supplement your wardrobe while transitioning to a job that requires professional attire. The Mr. Collection — Part of the Ms. Collection family, this one’s for men and works the same as the women’s site. Le Tote — Another subscription based service, this one is unique because along with great brands in regular sizes, they have a maternity section. It’s a great way to keep from getting really bored with your maternity wardrobe. Mine for Nine — With only maternity fashions, this site offers monthly rentals as well as one-time special occasion rentals. Feeling great about what we wear gives us swagger. By shopping for fashion on resale sites like these you can add confidence to that swagger — the confidence you get from knowing you haven’t broken the bank with your clothing budget.